The following is the final of five daily installments leading up to David’s return to Asia. Written by Ascphil at the conclusion of his last trip to that part of the world, and with exclusive photos by her daughter. It was time to pack our cameras, take out our cd’s, and form a line. A lady’s voice kept telling us to move fast and make it easy for David to sign by preparing the cd cover. Everyone was hurriedly ripping off the plastic wrapping of their newly purchased cd’s to take out the cover leaf which is actually one big folded poster. She also kept reminding us that only the first 400 cd’s will be signed and no picture-taking with David will be allowed. Naree and JR were lined up in front of me. Naree then turned to me and told me she’ll try to take a photo of me and David when she got out of the stage. She wanted me to be the fifth person behind her so that she had time to position herself to take a shot. I nodded but I was still busy with my bags, trying to put my cell phone in my pocket as I held the cd, the wrapper, the folded poster cover, and getting rid of the plastic pouches which held the cd’s and VIP passes. I was surprised by how quickly the line moved. The guards at the start of the line were pushing people forward to go to the stage after checking our stubs. There were more hands pushing us forward at the base of the stage to go up. I was rushing to get out my gift to David which was in a shoulder bag inside my second bag. I thought I was several persons behind Naree, but I saw that she was only three persons in front of me. Dang! I was barely getting my composure when I realized I was already near the table where David was signing. Many people were hovering around him. Someone motioned to me to open my cd cover to spread it out as a full poster. I could already see David looking down on the table and signing the cd covers so fast. The lady ahead of me handed him a card envelope which was taken by someone to his right and put into a huge clear plastic bag, even bigger than the usual garbage bag. Hmm, so that’s where my gift will go. When it was my turn, I stood squarely in front of David as I watched him sign my cd cover/poster with his full name as if it was just one of those things he does so well. He has mastered the art of the autograph, and as I watched him do it effortlessly, I was amazed by how he appeared to me up close. Spotlights were focused on the line, but because David was seated, he was shielded from the bright lights by anyone standing in front of him. We all know that he is of small stature, but as he sat there calmly signing the cd covers, he struck me as a larger person than his actual height. He exuded a silent but strong confidence and made me feel he was in control of what was happening around him. I then greeted him, “Hi, David.” As he looked up at me and said, “Oh, hi!” while completing his signature, I could see why people gush so much on how gorgeous he is up close. I was casting my shadow on him, and the diffused light somehow made his features more enhanced. 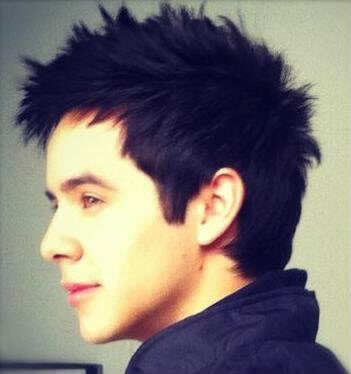 If the word photogenic and telegenic were to be applied to David, I would have to say he is none of them. He is even more handsome and more gorgeous than I had imagined him to be. All the best photographs I have seen of him do not give him justice. In that fleeting moment, he did not appear like a teenager to me. He is a beautiful, beautiful man, in the highest form of the word beautiful. Is he real? Is he really sitting there in front of me? I was almost taken aback when he looked directly at me. 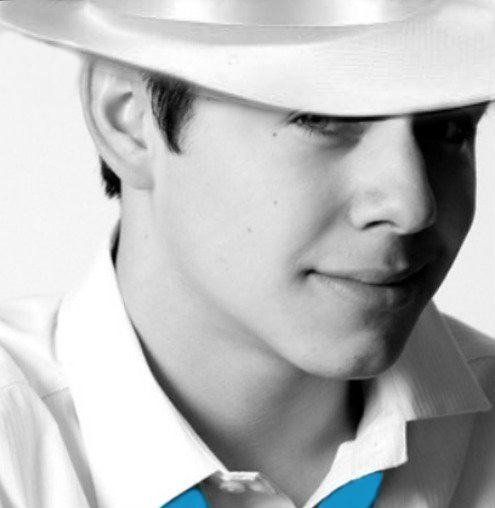 His gorgeousness was ultimately defined by the wonderment that was his eyes. I could not distinguish their colors in the soft light, but all I could feel was the beauty of his soul streaming through those enthralling eyes as they gazed at me inquisitively. His eyes sparkled, well-framed by those thick brows gently arched above his eyes which appeared dark under my shadow. I barely had the presence of mind to remember to give him my gift and was able to tell him, “This is for you, David” and knew it would go straight into the plastic bag being held by the large woman behind him. He said “Thanks!”, gave me a grateful smile, handed me my signed cd cover, and seemed like he was waiting for me to say something else. I wanted to speak to him some more but all I could say was, “I love your songs.” He acknowledged me with another “Thank you”, smiled and nodded, then turned to the next cd cover to be signed. EEGAD! I was silently slapping myself, realizing what lame words I said to him as I was being guided off the stage. Someone stamped my right hand with a wet red logo of Sony and I was shown out of the Sky Dome doors. Why didn’t I even think of shaking his hand? It’s the Archugaze’s fault. I had been forewarned, but did I come prepared? Noooo. I had been so preoccupied with sticking to plans and arrangements and cell phones and cameras, etcetera, etcetera, all in the name of David. Yet I did not even think of a single memorable line to say to him. Double slapping, ugh! Oh well. I comforted myself with the hope that he reads my letter. Even if he won’t remember me as the one who wrote it, it’s enough that he knows how much a mom-fan in the Philippines regards him with great respect. I then realized I was outside the Sky Dome by the VIP entrance and didn’t see anyone I knew. I started walking towards the left to see how to get back in because I had left my daughter inside. The first set of glass doors were closed off with metal railings, so I went to the next set of doors where some people were milling around. There was a guard manning the doors, so I told him I needed to get in to look for someone inside. I motioned to show my hand which had the red stamp, so he allowed me inside. As I went back in, there were hardly any people left at the area beyond the VIP section. There were just a few people left on the bleachers, but there were still a lot of people lining up for the cd signing within the VIP area. 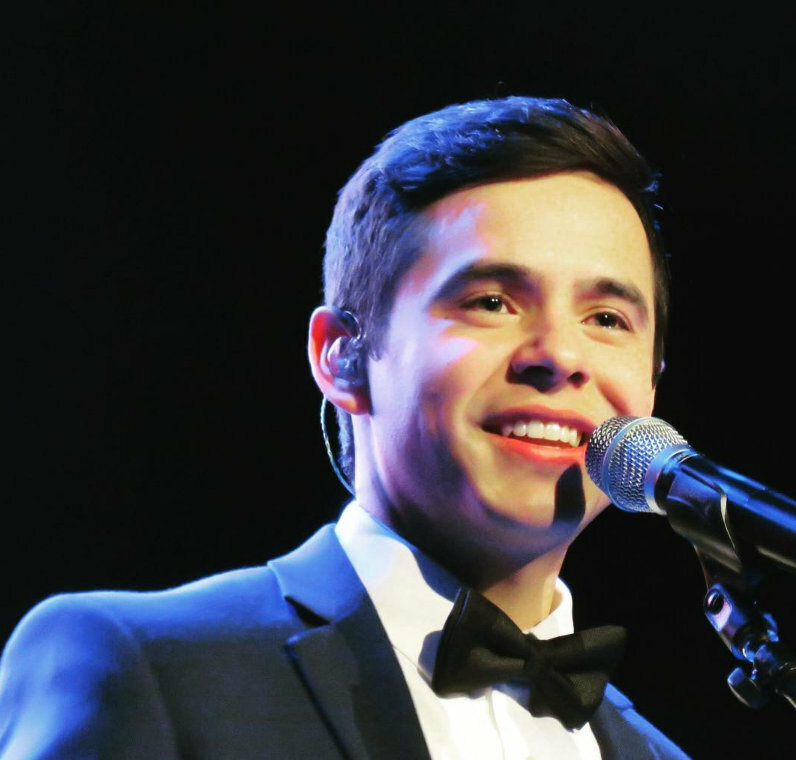 I saw a group of young Archies watching the cd signing in the emptied area. They apparently did not get to be the first 400 VIP’s. I then proceeded to walk around searching for my daughter. I could not see her anywhere, so I called her cell phone instead. She answered me immediately, replied that she was already outside the Sky Dome and was waiting for me. I had wanted to give her the extra cd I still had which was really meant for her, seeing how quickly David was giving autographs. She didn’t want to go back in because she had already taken photos of me as I got my cd signed. I sighed and then just told her to look for her father instead. I’ll look for someone else to give the cd for signing. I walked around again looking for a familiar face that was not yet in the line. I remembered the young Archies watching the signing and went back to them. I had met most of them the first time just yesterday, but one of them I recall meeting more than a year ago when we welcomed David at the airport as he arrived for the concert with Cook. I kept seeing her in the few get-togethers of ArchuletaPhilippines which I attended irregularly during the past year. I saw her again last night and even asked her name because her sweet face is very memorable. She hardly speaks in the meetings, is quite shy, but she somehow always manages to be at the get-togethers or anything planned by the group. I called out her name, she turned to me, and I asked her if she was able to get her cd signed. When her faced dropped and she started to say that she didn’t make it, I pulled out the spare cd with all the necessary documents. She shrieked with such glee and was jumping up and down. Those around her cheered her on and told her to run to the line. She was thanking me so much and was almost tearful that it warmed my heart to share that incomparable happiness. As she ran she was shrieking some more and holding up the cd until she got to the entry to the VIP section manned by guards. I was happy to see her allowed inside and she was excitedly looking for the end of the line. Then I looked up at the stage. The giant video wall was playing the real-time video of the cd signing itself, focused on the table where David sat signing away. As I watched, I noticed a white-haired old lady slowly being escorted to the table. When she reached the table, she bent down so low in front of David that she seemed to be giving him a kiss. Then, I saw David’s bright smiling face slowly emerging above her right shoulder. He was standing up and was giving her a hug! Lucky old lady!!! Everyone was clapping and cheering as it was happening. I was laughing and kidding with the young Archies that it pays to be an old fan! But it didn’t take away the significance of the moment which showed how much David values his fans, and that he has a special place in his heart for old people. I was so glad to find out later on that this special moment was captured in a video and put up in YouTube, even if the quality wasn’t that good, and that this particular old fan’s granddaughter had previously released YT videos of her grandmother reading her letters to David as far back as a year ago. It was really a sight to see. 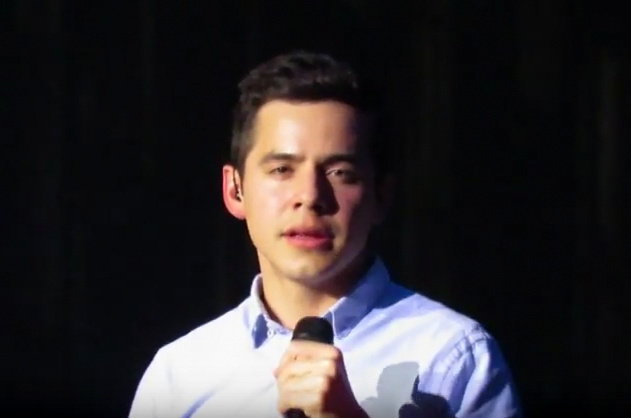 I felt that I had just seen a feel-good movie and that I had done what I needed to do: A grandma who got her long-awaited moment with David, plus a hug!, and a young Archie who will get her personal moment with David through a gifted VIP cd. David still had to sign more cd’s, and even if I wanted to watch some more, I had to go to my husband and daughter who were patiently waiting for me outside. I then told the young Archies I had to leave and we bade each other good bye. When we got home at past 10 pm, my daughter immediately changed her clothes and prepared to go to sleep. She was out cold as soon as she lay on her bed. On the other hand, I no longer felt like sleeping even if my back was so sore. I did my usual rituals before going to bed, and one of them was turning on my laptop to check what happened in Archuland via Twitter. It was there that I learned that David signed more than just the first 400 cd’s. The timeline showed that he was signing all the cd’s that were brought to him. I knew it! That was just like David! He wouldn’t leave until he could accommodate all the fans who wanted autographs in the Sky Dome. The last tweet about the cd signing said that 600 cd’s have so far been signed and still counting. 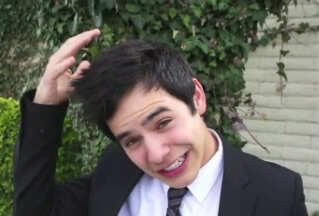 Oh, David, please don’t wonder anymore why your fans love you so much! 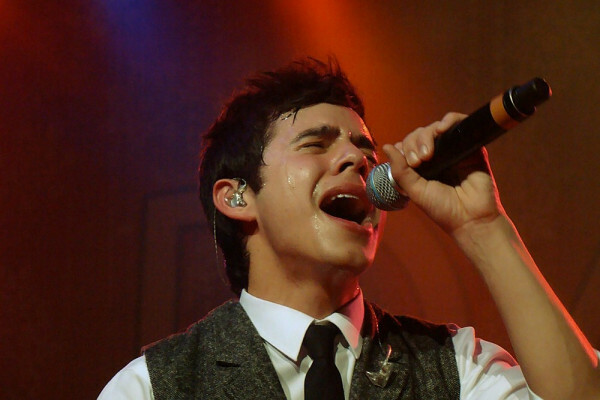 This entry was posted on Friday, July 15, 2011 at 12:59 AM	and is filed under David Archuleta, recaps, The Voice. 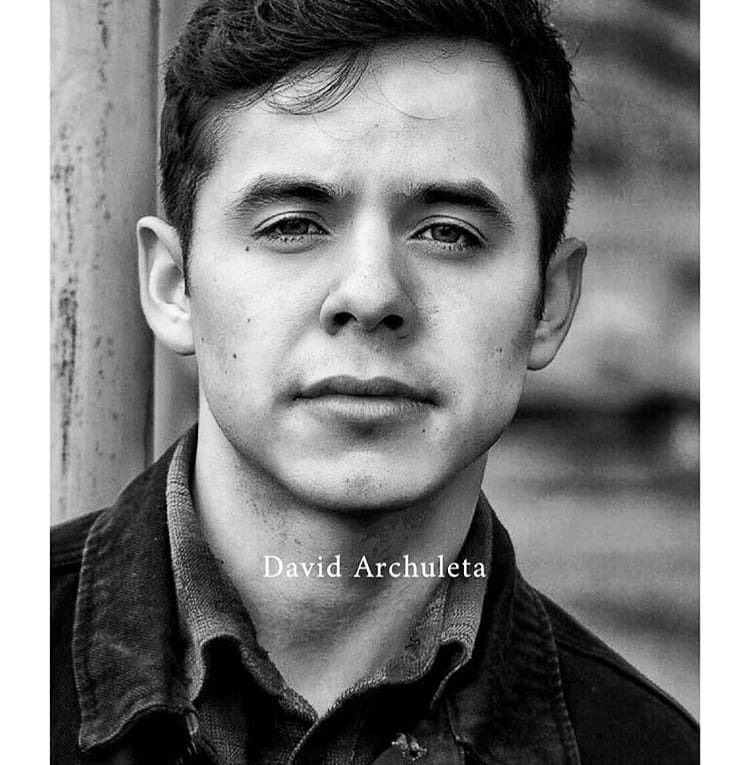 Tagged: Archudazed by the Archugaze, Asia, David Archuleta, Why we love him. You can follow any responses to this entry through the RSS 2.0 feed. You can leave a response, or trackback from your own site. I wouldn’t stay up this late for anyone other than David. And surprisingly there were others up too, and we were all on Twitter. 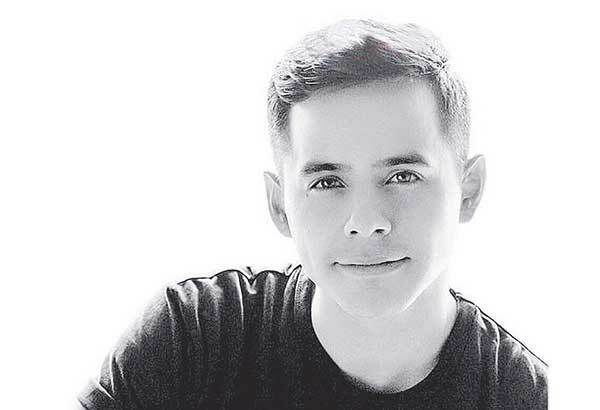 David did a photoshoot for GadisMagz and it got mixed opinions. I don’t like the shirt but I like who’s in it. He outshines any outfit. What do you think? 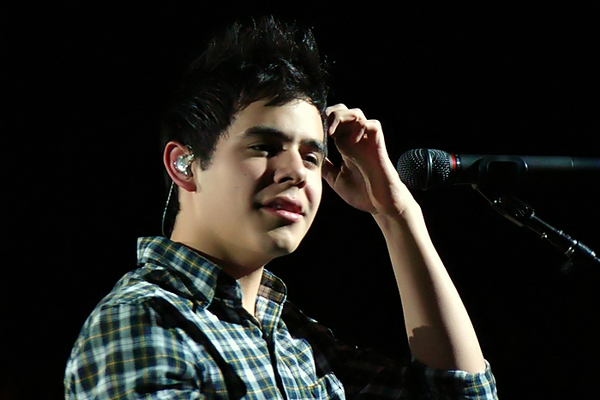 David, you’re awesome. but not your outfit that you wear right now. oh well, you’re too nice to refuse it. outfit ewww to the max. Your gorgeousness saved the hideous outfit. Don’t worry, you’re carrying it. BUT SRSLY WHAT AN OUTFIT. Ascphil, Will be back manana to comment more fully on the conclusion to your AWESOME recap! Bebe – cotton candy and limeade – LOL. Acsphil – your recap has me laughing one minute and brought tears to my eyes the next – it is just beautiful. As one who has been the recipient of that Archugaze at a book signing I know just what you mean! Popping in, ascphil, looking forward to reading part 5 tonight. Cotton candy and limeade, lol bebe! ascphil — oh, thank you again for your so beautifully-written articles. Right now I am trying to hold back tears as I must leave to go to the hairdresser (there’s a wedding this afternoon). As a great-grandmother I am so impressed by David’s kindness and respect toward his elders and others. 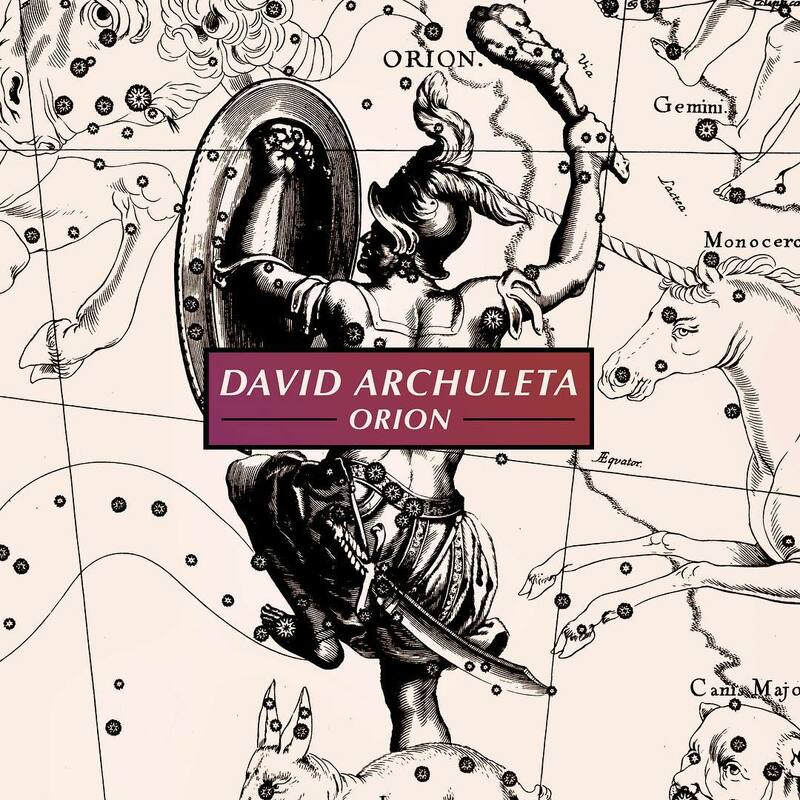 Such a beautiful soul — as are you by sharing so generously not only the CD but your fascinating David experience. Bravo on your series Ascphil! 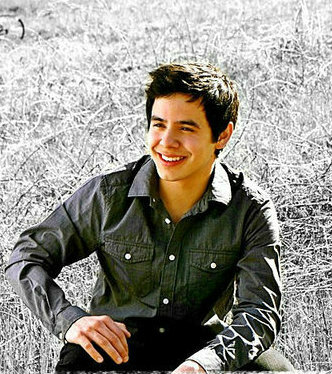 You made this week bearable while we wait for the Asian concerts to begin. Thank you so much! If he had a big “D” stitched on the left side, he would be ready to bowl with Lavern & Shirley! What a sport David is? David with a fan in the hotel lobby. Btw, it’s rare that any of us can get out a thoughtful, normal sentence when speaking to him. I like what you said. It’s a true statement, lol. Bahahahahaha Abs. The Big Ragoo. Carmine Ragusa. Best pop culture reference ever. Dear magazine people, please let David pick out his own outfits. I’ll say no more. David is such a trooper; I would have to drug my son to get that horrible shirt on him. Ascphil, I have so enjoyed your entire recap! Thank you for sharing! First look at the stage! I did a Google translate of this article. Click the link at the end to see some different pictures. 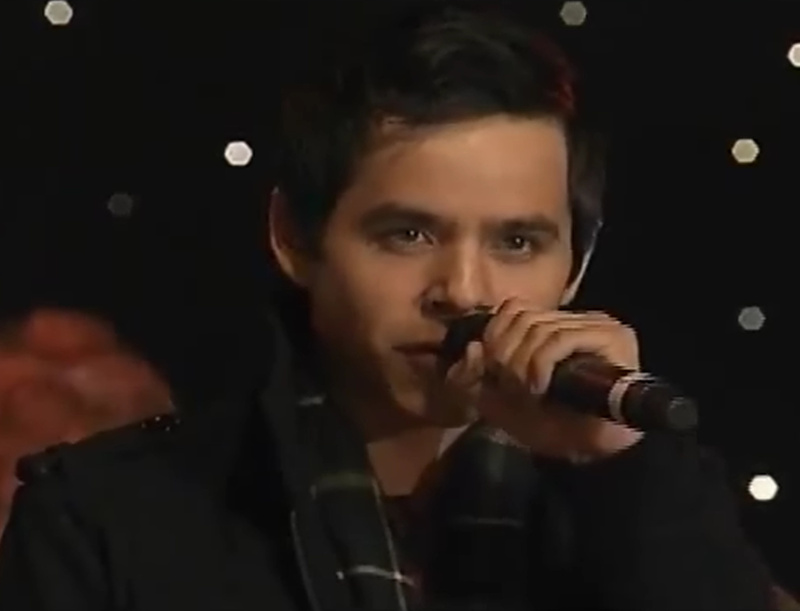 @davidarchie just gave an impromptu singing session – “Stand By Me”. 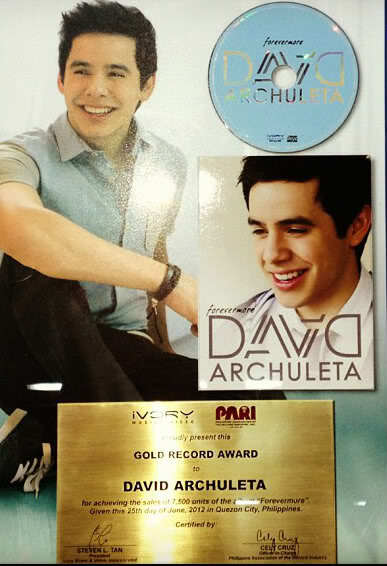 We are honored bisa di ngamenin..
Love this! This fan gets some DAVID hugs! According to someone who was at rehearsal, D rehearsed Love don’t hate and Everything and more. all I’ve got to say is shameel,, shamaazel , hagen daas incorporated!! hmmm that shirt kinda does make me want the Good Humor ice cream truck to come by today. HA! Ascphil♥ love your story so much. another great chapter!! David and the gray haired lady…David is especially gentle and sweet, to young children and the elderly isn’t he. Cute story. But don’t think about it lady,there’s no kissing David! staying on standby for any news and tidbits! I am on duty as the official picture spammer ! Found a new video from the airport. It’s kinda wild but her description below it says it all. Another short one as he gets on the bus. More Teen Pond’s M&G pics. Click the link to see them. Click any picture to see them all larger. cute pic of David and @scpancake! she’s adorable. What a FEAST! Thank you Ascophil for Part 5. You described what many of us feel when we see and meet David. Never enough time but still so worth the effort. Thank you Abrra and Bebe for the pictures etc. 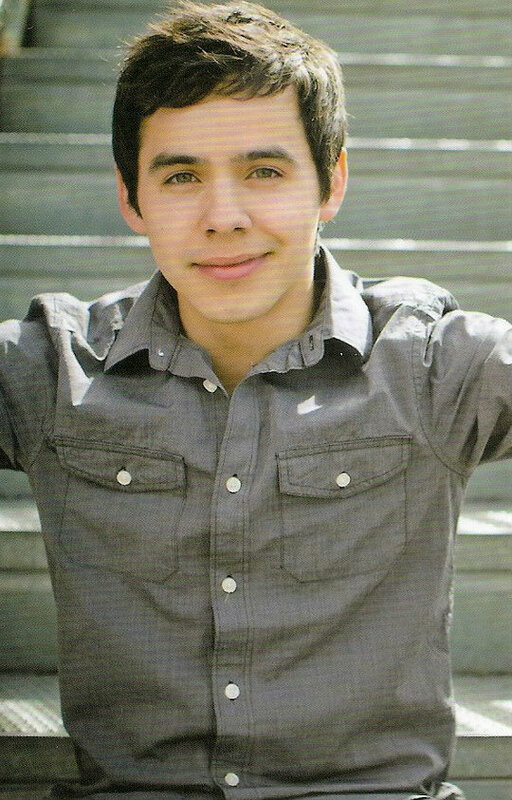 David looks like he is soaking up all the love just fine! He is a good sport too!! Glad to hear they are getting practice time in. It’s been a long but good day. Time to get some rest. Performing tomorrow for the Pond’s Teens Concert! Spam will cease for awhile. Haha! That is some serious GORGEOUS going on. How many times have I tripped down and fall from the hands of time? 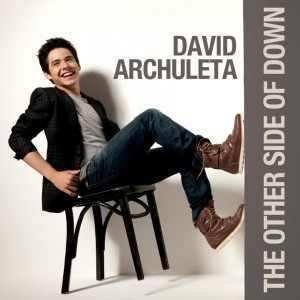 I wrote this song for David Archuleta. Betsy that was just so dang beautiful and for David, David, David. I should not be crying at work. dang. She will be livestreaming the concert tomorrow, David will be on the last hour and half. Read on twitter 19 songs! If you’re not following scpancake on twitter do so. Your entire story was wonderful! And your generosity to another fan is so heart warming. Be sure to tell your daughter thank you also for the beautiful photos. She really has quite a good eye for photography! What a wonderful article and comments! wow! Thanks so much everyone! Can we be any more excited and pleased for David? This is wonderful! yay! Now for the pics in this post. Abrra, that photo in the pink shirt. Hahaha He looks like cotton candy. I can’t imagine what he thought of that outfit! 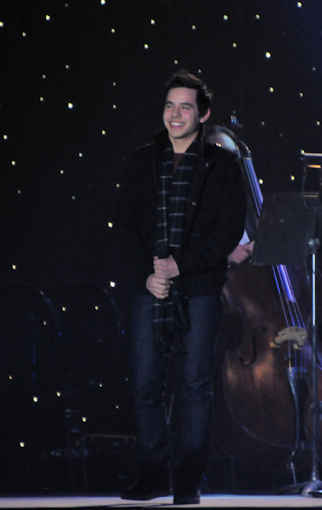 How he managed to look so adorable in that outfit I just don’t’ know. LOL I know what you mean. I’d have to tie my son down to get him in that outfit. Read that there should be video of his impromptu singing. Yayyy!! Abrra, it looks like you’re going to get your wish! We all are! Can’t wait to hear them live! Tomorrow!!!!!! PS Abrra, thanks for the SpamFest! Haha Love it all! 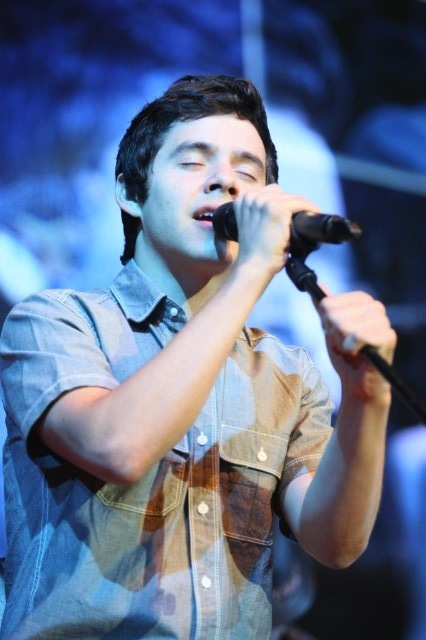 Everyone concentrate on the universe that will send us a good UStream feed please! MT- He was practicing Everything and More, not Wait. I wish it were Wait. I really, really want to hear Wait performed live. I have to go to work now. boo hoo. So have we figured out what time we will be watching the u stream here? I can’t even think straight anymore.This is just all so wonderful. Wonder who it is that took Brians place and if he has been practicing with the band since after SOF? anyone know? But there’s gonna be a fight in this household tomorrow morning. haha Usually, 3am to 10am is hubby’s time for the computer. lol NOT tomorrow! Barbs, Oh, oops …TY, and … those are fine too. 🙂 I am in love with all the new ones. ♥ I’ll take anything I can get. I read that he is going to be on stage about 11pm ish Jakarta time. I am going to be ready at 10am edt 🙂 We will give warning here. We are watching twitter. I have not seen any official reason for Brian not being on the tour. He may have had an obligation in the states, made before he was hired. Part 5 brought me back to my VIP, my last concert and all those feelings. They never really disappear; they get tucked away until you read about someone else’s experience. I loved the part when the white haired lady came on stage to have her autograph signed. David was so humble that he stood up to hug the woman. What a gentleman! Ascphil, Thank you again for your generosity of spirit and detail. I look forward to reading more recaps from you whenever you choose to gift us with them. Jonerz took a screen cap of the CD WOW site’s main page. Look who is #1? Ascphil, I’m truly enjoying reading your recaps! “I felt that I had just seen a feel-good movie”. 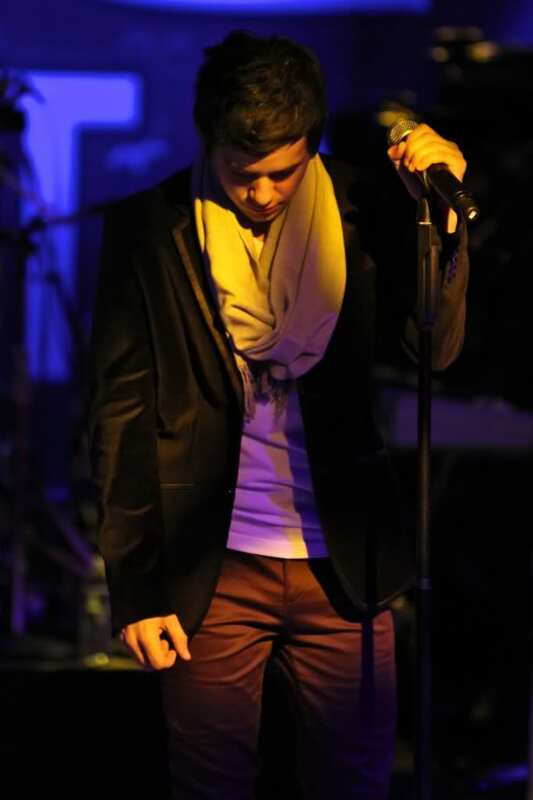 I have sooo felt that way after seeing him in concert, or even just listening to his music. And, wow, Samantha Pangkey! What a beautiful song and she sung it with such feeling! That’s so awesome that she got to perform it for him…even if she got emotional. I’m sure it meant a lot to David. I hope David gets to read the words. He has such amazing devoted fans. Bebe, 32–I love that picture. Is it new? I’ve never seen it before. Where is it from? Brian called Jeff and David the day of the book fair book signing to say he couldn’t go because of other commitments. Jeff told us, but didn’t say which band member. Now we know. Approx. 12 hours to go! is tonight when it’s tomorrow in Jakarta and the PTC will be streamed? I’m on the confused side of figuring it out. abrra, what world clock is the bestest? Thanks for the info cb. I heard the replacement was named Beau? Not sure if that’s true but it’s all good. 2. Checked to make sure my login works. 4. Get Bebe to call me in case I oversleep. 5. Get Djafan to call me in case Bebe oversleeps. 5. Have assorted pastries and beverages handy. I think that about covers it. Now if I can just stop doing this. I might actually get some sleep before the concert. 19 songs????!!! Squeeeeeeee! 19 songs? I’m so happy for the lucky folks who are attending this sure to be epic event! Ascphil, Your recaps have been so much fun! I can’t wait to hear all about this concert through your words. You have me living each moment as if I was right there with you! Thanks so much for sharing all 5 loving stories! 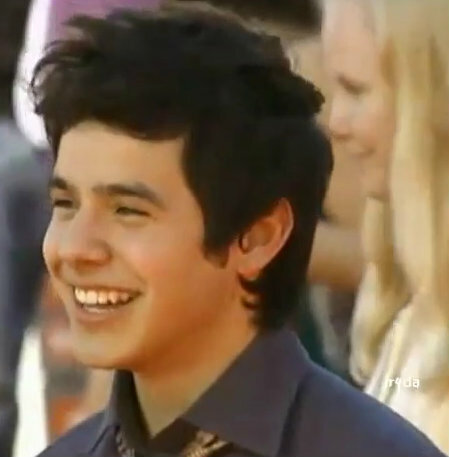 “the happiness that David creates is incredible” <==== soooo agree! 8.30 pm Friday pacific time. 43.ok … I’ve seen that look in Davids eyes before, …that subtle flirty smile, while dispensing the ”bore a hole through you” glance! Goodnight all! We must get up early! Ascphil ~ I want to say thank you for your 5 part story. Like others have said it is just wonderful. You really do have a gift. I look forward to reading about your next adventure in Archuworld. I hope you have a blast! skydancer ~ I just want you to know that you make me laugh every day! Hi, everyone! So excited for the Indonesian concert which will happen in less than 8 hours! Eeeep! Archiesfan4life, I clearly underestimated the power of the Archugaze. I know better next time and will arm myself. I just don’t know how yet, lol! Stenocruiser, I am so happy to know you are a great-grandmother. That’s the wide range of fans David does attract. I was really touched by what I had witnessed between him and the elderly lady, and it solidified my admiration for him even more. He brings tears to my eyes very often by just being his wonderful gifted self. Abrra, I’m so glad the series made your week bearable. It is such an exciting time for all of us! Betsy, It is mind-boggling how he can make even mature, sensible adults lose their capacity for normal conversation. I just couldn’t think of anything more than a few words to say after being Archustruck. He is such a stun-ner. Xaris, I enjoyed writing the whole thing as well. You’re very welcome! Skydancer1x, David is such a gentleman to every one and a gentler person to the young and old. 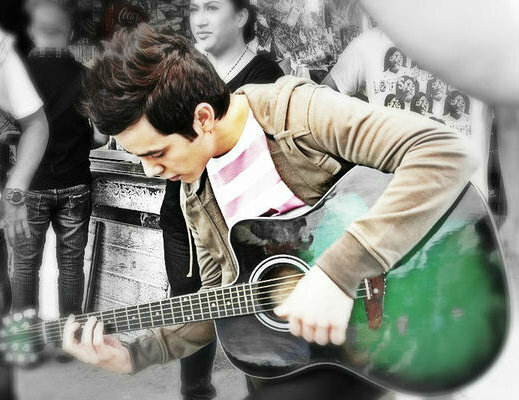 His demeanor in any situation is very admirable for a person of his age. I keep learning from just watching him interact with any creature on earth. And to think I’m old enough to be his mother. Heidijoy, There is never enough time when it comes to David. Which is why we keep wanting to see him, listen to him or watch him perform. I have never felt like this about any celebrity in my whole life. No one does this to me but David. Djafan, Archangel48, Annie318, It gives me so much pleasure to know of your enjoyment in reading thru the details. There will surely be stories to tell after DALIM3. He’ll be in Manila for 4 days! MT, Yes, I wish I would be able to speak to him again and have a decent exchange of words, lol! My favorite part of writing the recap was about my face-to-face encounter with him because I lingered on finding the words to describe it. I’m glad you singled out the part about his eyes. Up to now, the memory of it seems like a dream. And I will surely thank my daughter for you. I think I’ve psyched her enough that she’s looking forward to taking photos during the M&G tomorrow…. Eeeek! It’s tomorrow!!! MunkFOD, Thanks again for the compliment! Kaycee, I agree with everything you wrote. 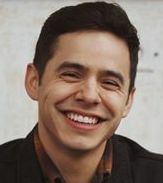 Whenever I watch or listen to David, he IS a feel-good movie! Tawna21, You’re very welcome. 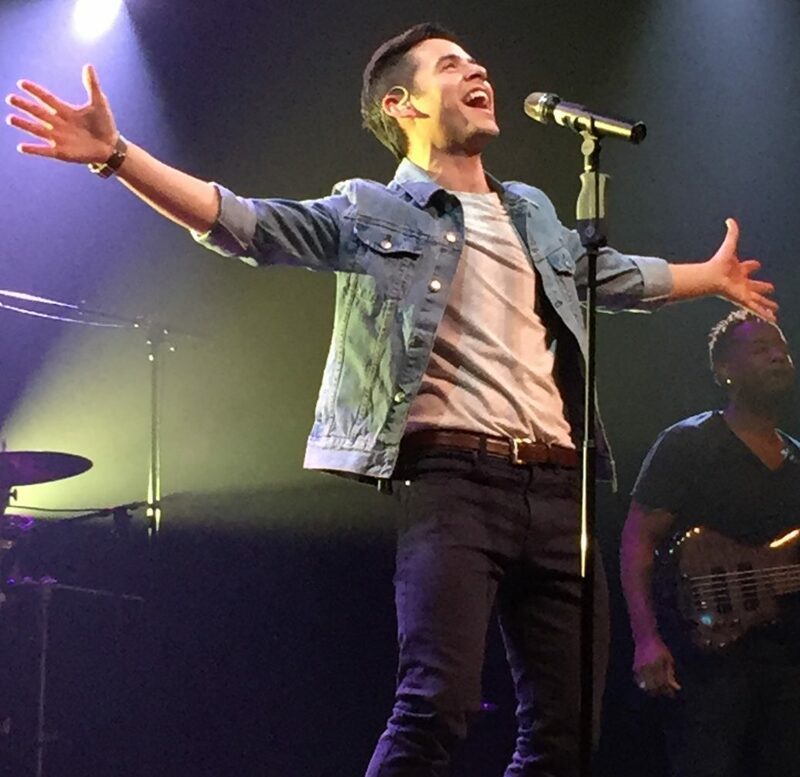 David is so humble that he continues to be amazed at how much support his fans give him. He’s the best example I know of an all-around wonderful human being and beautiful soul. Mollie4da, I’m glad that we all find kindred spirits in Archuland who suffer thru the highs and lows of having ODD. The fan sites are my refuge for nursing my ODD everyday. I am so happy to report that my husband IS coming around. He allowed me to join Team Airport to welcome David tomorrow! Wheeee!!!! Angelica & Bebereader, It was my honor and great pleasure that you presented my recap as such an awesome series. This was truly unexpected and such a gift to me as well. I will do my best to tell you guys all about DALIM3 soonafter I am able to stabilize all my hyped-up senses and write to my heart’s delight. My sincerest gratitude to The Voice admins and the wonderful people who visit here!